Recently, the Trump administration released a 68-page document outlining the future of the Trump administration’s foreign policy. 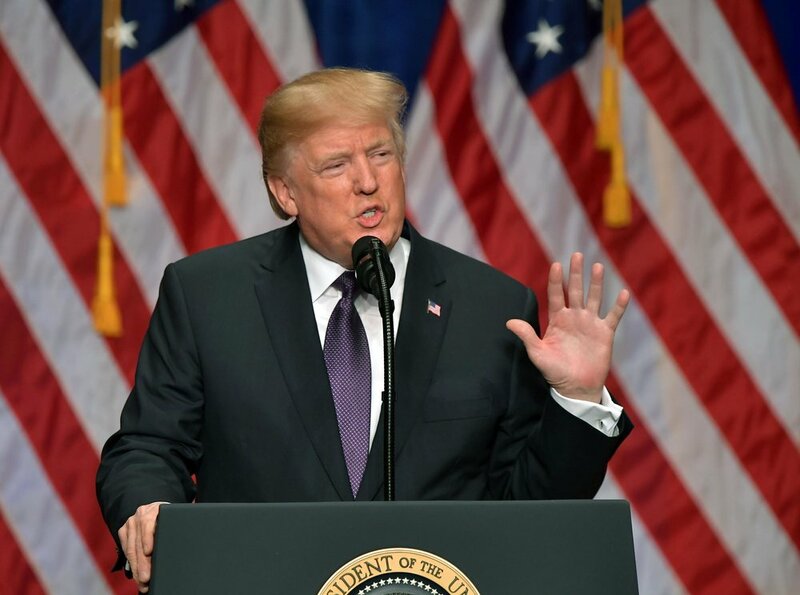 The congressionally required National Security Strategy (NSS) outlines want the Trump administration’s view and desire of what America’s role should be in the world. The question of a Trumpian foreign policy and security doctrine has been source of curiosity – and anxiety -since the real estate mogul fist announced his candidacy for the office he now holds. Trump has gone out of his was to be as anti-establishmentarian as possible. Trump spoke of free trade as a zero-sum game, and lamented previous trade policy as being detrimental to American workers. Trump repeatedly bemoaned American security commitments; his grievances went beyond the normal complaints of NATO allies not contributing enough to the alliance, and argued that America neglected protecting its own border in favor of foreign borders. The President also spoke of the War on Terror in a contradictory tone by criticizing the conflict in Afghanistan as a quagmire and the war in Iraq as a blunder; yet, he also promised to obliterate terrorism in his inauguration speech. And perhaps above all, Donald Trump’s repeated use of “America first” – a term associated with the pre-World War isolationists – put an ideological wrapping on his policies that alarmed many. With the rhetorical history of President Trump, it was expected a new era of “nation building at home” – and Obama administration favorite – to be expanded. For the most part, those expectations were wrong. It was expected that Trump would be lenient towards Vladimir Putin and his unapologetic imperialism. Since his inauguration Trump, has okayed new sanctions, labeled Russia as a regional rival, and greenlighted more military cooperation in Europe. The War on Terror, which the President has criticized, has a new lease on life. Despite stating that he wanted a total withdrawal from Afghanistan, Trump is increasing troop levels in Afghanistan, where the Taliban have been retaking territory after a decrease in American troop levels. The President has been more aggressive towards Iran and North Korea, and is continuing the Obama administration’s pressure on China in the South China Sea. Even in free trade, where Trump has been the most ideologically consistent in rhetorically chastising, has not seen the scorched earth rollbacks that the President led Americans on to believe. The new strategy provides a welcome assessment to the modern world. Following the end of the Cold War, the national strategy of the United States drifted without any particular direction. Meanwhile, the great power politics of pre-Cold War Europe saw a resurgence. Geopolitical tensions previously forgotten has become an international issue again. Nationalist inspired territorial grabs by China in the South China Sea and by Russia in Eastern Europe require a strategy that framed within a world where multiple regional powers are competing for power, and the new national security strategy presented by the Trump administration does an adequate job of accepting the geopolitical climate of the 21st century. It is a strange curiosity how the rhetoric of campaigns is filtered by the demands of reality. Virtually every presidential campaign in recent memory advocated a revolution in American foreign policy – must of it in favor of a more constrained American foreign policy. One could debate whether this stems from an actual belief in changing America’s role in the world, or it is just a tool to bring interest to a campaign. Nobody is attracted to a campaign predicated on “keeping things the way they are”. Regardless of what campaigns promise, the result is always the same: America finds itself at the center of world affairs. America is the indispensable nation on the global stage. International norms conform to that of the global hegemon, and the U.S. has no other liberal substitute for power. Look at the next two more powerful global powers: China and Russia. China, after years of reversing the totalitarianism of the Mao years, is experiencing a relapse in authoritarianism. The Chinese state is ramping up surveillance programs, is being more controlling of social media outlets, and other forms of information. Xi Jinping, the President of the People’s Republic, is the most powerful leader since Mao. Russia is going in a similar direction. Persecution of political opponents of Vladimir Putin is increasing in scope. While not overtly prohibiting opposition, as China does, Russia has crafted a system of legal barriers that prevent anyone jailed of running for office. predictably, those who speak out against Putin are arrested under a multitude of asinine reasons. Journalists who investigate political corruption are routinely murdered, two confirmed murders of journalists have been recorded in 2017. Many more murders are unsolved. And the Russian government relentlessly interferes in the politics of its neighbors. A world without American leadership is a world more suitable to the civilization-destroying conventional wars that preceded America’s rise as a superpower. The regional powers of the world are not willing to live in an authoritarian sphere of influence. In East Asia, Japan, whose remained pacifistic since their military obliteration in the Pacific War, is rearming in preparation for a collision with China. The Middle East is becoming more volatile as Saudi Arabia has taken geopolitics into its own hands. Smaller Eastern European nations are seeking stronger ties with the West in order to preserve sovereignty from a revanchist Russia. More competing power means more opportunity for war. The irony of the new NSS is that it lacks the democracy promotion that previous strategies have outlined. Another Trumpian influence perhaps. But the irony is that this new strategy, which brings America into a new vision of the world’s security challenges, will better prepare the liberal international order that has brought the world an exponential amount of freedom and democracy.